Awarded the Best Male Singer in 2013 by Anugerah Planet Music and Male Singer of the Year at the Indonesia Choice Awards 2014, this singer is a multi-platinum artist will be heading to Singapore soon! Indonesian pop icon Judika will be performing in Singapore this coming September. 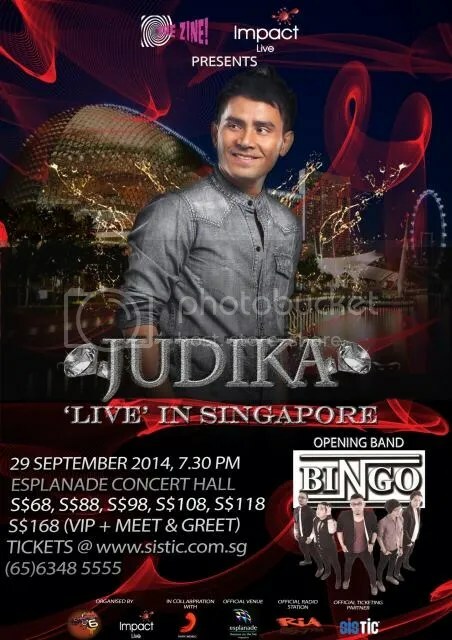 This will be Judika’s first concert in Singapore. The runner-up of the Indonesian Idol Season 2 will be belting out his hits such as Aku Yang Disakiti and Mencari Cinta. Impact Live hinted that other than the opening band, there will be a very special guest star as opening act. She is said to be one of the most popular female Indonesian artist. Who do you think she is?